This serious-humorous examination of the art and craft of art marketing clearly engaged the panelists, who frequently all talked at once, as well as the audience, which laughed and applauded, and asked some questions, not because it didn’t know the answers, but because it did. Ronald Feldman rendered a wicked riff on how the art market, nefariously, operates. But Leon Golub, self-styled “old timer,” who ought to have been the most cynical of the lot, hinted at possible “substance,” or other mysterious factors that defy market manipulation, or even analysis. And let the record show that the woman in the audience who asked if anyone besides Women Artists News ever looked into which artists got reviewed, and why, was not known to us—although we’re glad she noticed. Moderator Lynn Zelevansky introduced panelists as follows: Ronald Feldman, codirector of Ronald Feldman Fine Arts Gallery in New York since 1971; Dara Birnbaum, artist and independent producer, the only video artist in the Carnegie International; Leon Golub, well-known painter; Richard Kostelanetz, essayist, anthologist, and multidisciplinary artist engaged in the worlds of both literature and fine arts; and Amy Newman, managing editor of ARTnews. Lynn Zelevansky: The question “How the Market Gives Form to Art” is one I ask not at all cynically. I think it’s the question of the ’80s and a difficult one to answer. My premise is that the drastic change in the art market over the last twenty years has effected a change in the condition of the artist as modernism defined it, that is, as outsider. The artist’s life is still difficult, the speculative nature of his or her work remains the same, generating insecurity and so providing a continuum with earlier times. However, today, opportunities are far more numerous than they were two decades ago and this seems to have reduced the artist’s identification with the marginal. In a period like this one, which is basically tolerant of all kinds of different styles, things like pink hair are vestigial references to antibourgeois lifestyles, rather than a real affiliation with marginality. The adoption of more conventional material values must affect the form of 1980s art, just as the artist’s oppositional stance impacted on the form of earlier work. Today, references to comics, movies, and cartoons ally current art with mainstream culture, rather than functioning as social commentary, or denoting an anti-high-art position as they might have in the past. Another example of contemporary art’s alliance with the mainstream is the reemergence of large painting, an emphatically material form of art, as a central issue of the art world at the beginning of the Reagan era. I assume that the huge growth in the marketplace influences all of us, regardless of our values or the form of our work. Amy Newman: I think the issue is to a certain extent specious, for two main reasons. First, artists have always produced for a market of one sort or another. Nearly without exception, art aspires to a condition of creating an impact, whether commercial or ideological. I don’t think the marketplace for ideas is any less tyrannical than the financial market. Just as many people are willing to be corrupted for reasons of moral, ideological, and philosophical influence and stature, [many] are willing to be corrupted for financial reasons. How extraordinarily rare is the artist, and I don’t think I’ve ever encountered one, who works without concern for whether the work is recognized or discussed, even if he or she doesn’t care whether it’s sold. The second reason I think the issue is specious is that for art to be interesting, the work must have something to do with its historical moment—distill or crystalize, reflect or reject, embrace or expose it. The presence of one of these facets doesn’t necessarily make the art good, but the absence makes it vapid. And today, certainly in the West, the market is the moment. The culture is surely permeated with conditions of the marketplace, as the fourteenth century was conditioned by belief in the power of religion, and the sixteenth century by belief in the power of man, and the nineteenth century by belief in the power of science. That said, certain factors are troubling about this relationship and I do have some random thoughts on the issue. Our culture, and increasingly that of the rest of the world, revolves around information, image, and effect. This is what the marketplace trades in and what consumers consume today, even more than tangible goods. And this is why, with the frequently (but not always) ingenuous collaboration of the media, the market is so all-pervasive, and why I consider the market is the moment. We hear frequent complaints that information, image, and effect can be conveyed and purveyed with very little substance, but “substance” is a [tricky] concept in this context. Does it have any meaning beyond a certain nostalgia? Substance has profoundly different meanings in different eras, and we’re now in a different era. What we can perhaps say is that “substance” in some way confronts the questions of the human condition, and that is in fact what the best contemporary art still does—precisely when it is shaped in some way by the marketplace. Certainly the rampant insecurity of taste and the nefarious atmosphere of financial speculation that characterize the market moment can be devastating and abusing to the artist’s ego. We sometimes forget when we talk about abstractions of the marketplace that we’re talking about people, and I guess the audience does frequently have unfair, heroic expectations for artists. [But] we all have to face moral dilemmas and make moral decisions, no matter what profession we’re in. What the marketplace is giving shape to is not the physical aspects of art, as frequently happened in previous eras, or not as much, but the more general conception of art. Art has become a generic catchall term. It has never before subsumed so many different forms and ambitions…. Today we erase almost all distinctions of purpose and ambition and that [affects] the function of the market. Creativity goes along in its myriad ways, as it always has, with different ambitions as to psychological profundity, cultural profundity, humor, decorativeness, ability to communicate, ability to intervene in contemporary life. The market tries to erase all distinctions. The leveling is certainly also an outgrowth of the ’60s and ’70s challenge to so-called fine art, which should have been and in many ways was a very valuable and beneficial process. The challenge to rigid definitions opened a wide spectrum of experience to a new level of contemplation. [It also] had not only the effect of making alternative investigations and manifestations more meaningful; contradictions of the original impulse made them more valuable…. We found that the status quo of the market culture was more powerful than the challenge. So while it’s certainly true, as Carter Ratcliff says, that the market is instrumental in forming the image of the artist, and that has to do with celebrity and fashion and speculation, we also can say that many of today’s serious artists do have an adversarial position to the prevailing mainstream culture—the market—in that they are trying to reassert the distinctions among kinds of goals and ambitions. Kruger, Holzer, Borofsky, Haring, Scharf, Greenblat, Salle, Longo, Clemente—they’re not all aiming for the same place in our minds and our lives, as much as the market would like to purvey them all as an homogenous product. Leon Golub: The art market depends on glamor and scarcity, particularly today. The two work together—you can almost identify one with the other. Scarcity means that if someone wants to collect something, he or she is told there aren’t too many of them. “This is a prime optic of a prime artist, and you may have to wait in order to get it.” But scarcity makes us avid. We want it. If there’s too much of something, we don’t need it. Glamor is the same thing, because glamor says that some people have it and some people don’t. This is not necessarily a new phenomenon…. Art was taken up by the popes and the Medici—and they gave it glamor, too. Art was extremely glamorous in the Renaissance. And that aristocratic aura, that notion of serving public power at the highest level, is translated into the peculiar forms of our day. But art has always served power. Whether you serve the Roman emperor, or the church, you’re still serving power. Image-makers make the kind of pictures, signs, and symbols that are called for. If they get out of line, they won’t get commissions…. Most artists eventually fall into line. The avant-garde was able to move the struggle away from the political and social aspects, which got mixed up in the nineteenth century, into another sphere, the so-called autonomous sphere. You could be allowed an aesthetic transgression, even if you were not allowed a political, social, or public transgression. [Think of] the history of Courbet or against the history of an artist who changes the sense of form. Not that the change of the sense of form doesn’t have political aspects as well, but it’s more abstracted. Which is why we have abstract art…. Under modernism, you get all kinds of accruals and additions, from technology, for example, TV, telephones, film, photography, satellites. These change imaging. All these accruals bounce against each other, which is part of the atomization. You get a kind of open-ended market, which does permit a certain kind of—a word a lot of people don’t like—pluralism…. You can take different aspects of the modern world, whereas in the medieval period, the world was one direction and developed more or less in a vertical or linear fashion. So the market today is a special kind of market, but the conditions of control and power are still there. [T]hese accruals have weights, entropy; they all disperse at the same time. All this is going on, and may even give you some elbow room. Ronald Feldman: I have two sets of slides to show two aspects of the marketplace. First, the work of a particular artist. I will read criticism he has had over the years to show the conflicting nature of art opinion and the incredible perversity of the marketplace. The artist is Joseph Beuys. Another declared a Beuys show the “worst European modern master retrospective,” saying, “Beuys is in the business of selling himself. He really doesn’t do anything. So his career boils down to public relations, but he has no point of view to express. Feldman: No, that was Benjamin Buchloh…. But if you were reading these, and didn’t know anything [else], you’d be in a lot of trouble in the marketplace. Many public-relations opportunities are available through the sponsorship of programs, special exhibitions, and services. These can often provide a creative and cost-effective answer to a specific marketing objective, particularly where international, governmental, or consumer relations may be of fundamental concern. These are two different cross currents in the marketplace, quite a diverse and exciting place. Dara Birnbaum: At the recent Carnegie International, not only was I the only video artist, I was one of only four women—and probably the only person there without a gallery…. I represent the position of many people in my peer group making an attempt to get out of the gallery system, to reach a larger public. I did a video show, Wonder Woman, of totally popular imagery, and put it in the window of [a commercial space]…. After 1979, it was shown in the first film and video room at P.S.1…. This [slide] was the opening at the Mudd Club, ’79 to ’80. The Mudd Club was one of the first places to open up to video. For a year, a group of us had an independent space there, to sit upstairs and talk about video. It gave you a very local feeling for a medium usually transported out of your hands almost immediately after you’ve created your statement…. The Mudd Club was one of the places where this art [reached the public]. This is Grand Central Station. In 1980, ten artists were commissioned, other people being like Jenny Holzer, to do works in the station waiting room. [At the time] it was very difficult for people in video arts to exhibit in museums or any kind of art spaces. The galleries were not really supportive except Castelli Sonnabend. Museum funding for these works had been cut. [You had to] become your own package deal. You had to make a work that, no matter where it was, the statement still read, that, like a trade show, could be put up anywhere, At Documenta 7, again, I was the only video installation…. Here’s the Art Institute of Chicago 74th American Art Exhibition. Mine is the only video work inside the show—at least in a partly connected space, a cul de sac. Usually it’s completely shut off, in an independent room with the separate designation “Film” or “Video,” rather than saying it still belongs to the arts. [But] at the ICA in Boston, for the first time, video was displayed on the upper floor, taking over the space, unheard of before. Another display, twenty-one different installations of video work, was at the Stedelijk in 1984, the first time a major world museum opened up to the public the language involved in a new form of art making. The intentions of my peer group, working either electronically or through music, are to make art as a purposeful challenge to mainstream culture…. This is the Whitney Biennial this past year, the first time a video installation was allowed out in the open on the fourth floor. This is the 1985 Carnegie International Exposition that just opened in Pittsburgh, again the only video in the show allowed out in the open, so the vocabulary can be associated with the other forms of work. Richard Kostelanetz: There’s a difference between literature marketing and visual-arts marketing—visual arts is retail, and literature is wholesale…. When you take a work to a dealer, he knows his regular customers. He’ll make a calculation [about marketing] that is obviously kind of subtle. When you bring work to a publisher, all he knows is bookstore managers—the bookstore managers sell books. And this means lots of differences. First of all, art is sold [one at a time] and reviews criticize it. Reviews sell literature because they publicize it to ten thousand to one hundred thousand customers. Art is basically sold to individual rich people who can afford to pay for large units. Literature is sold to the masses…. The thing about contemporary visual art is that very little sells; it’s remarkable that it sells at all, which makes the operation of selling visual arts in our time very naïve…. So the major phenomenon of contemporary art in our time is the development of an extravagant market. Second is the development of an unprecedented support system for artists who don’t sell. They live on jobs and grants…. Another development of the past two decades is the increasing gap between the commercial world and the noncommercial world. Particularly in literature, we have commercial presses and small presses. And the small press is a cultural entity whose particular function is to do what the commercial press doesn’t do—but also to continue literature, which has been abandoned by commercial presses in favor of best sellers. The same thing happened in music, with the record companies getting more and more commercial…. So [people set up] alternative music spaces, like the Kitchen. I think you get this in visual art as well…. It was traditionally thought that if someone succeeded in the noncommercial world, he would jump into the commercial world. The gap has become so great that, in literature and music, I can think of only two people who have made that leap in the past decade—Philip Glass in music and Walter Abish in literature. So we have not just the development of that which is commercial, but [also the] development of institutions and a means of dissemination of that which is not commercial. [I]t’s really hard to sell out nowadays, in part because the gap between commercial art and art is so great…. And because of selling ten thousand versus selling one, eccentricity is far more cultivated in the retail [visual] arts. Zelevansky: I think I was misunderstood by both you and Amy. I never used the term selling out. I was interested in what Amy said, that the marketplace is the moment, and there’s no way somebody, whether they’re rebelling against it or not, can fail in some way to reflect that fact. I can’t imagine taking the position that the marketplace does not give form to art. Now a question to the panel: how do you create a market for an artist’s work? Feldman: I don’t know—I’m waiting for the Mary Boone book. [Laughter, applause] Actually, I could give you a lot of ways. First, you have to pick a very nice art form: painting would be number one, absolute top-of-the-list. Paint! If one of my kids [were] going to be an architect, I’d say don’t do that strange thing. Paint! (Well, I wouldn’t say that, but I would say paint.) What you have to do is paint something really kind of attractive aesthetically right off the bat. It can be strange, but it should be really nice looking. It shouldn’t be too, too big, because then it can’t get into the museum. When you’re a little more known, you can make really big things—they’ll find room. To market that work, as a strategy, one should have a few sold-out shows. Before they open is the best way, really, but even during would be good. Or even after, you can state that that happened. Even if it didn’t. That word “out” is really good. When dolls are hard to get, they can run into thousands of dollars. If you sell out ten to twelve paintings, that’s peanuts really—but big news in the art world. Secondly, in order to sell out, one should pepper the art world with paintings at very low prices that no one quite knows what price they were sold for. But a high price is told to the public! That also helps—a lot of PR that this sold out at “x” high price. It’s not true, but it helps a lot. Newman: In other words, people think other people paid more? Feldman: Yes. Very good strategy. Let them get on the waiting list. Newman: You get one person to say, yes I paid…? Feldman: You don’t have to lie, just [say] this is the price and everything is sold out! Nobody really quite asks, did they pay what I’m paying. The best thing, then, would be to have a waiting list. Scarcity is really good. A sold-out show gives the glamor and the scarcity at one time. If you can do that a few times in a row, that’s really good. Another aspect would be to find some critics that really, genuinely like the work. They may be misguided, they may be correct, but they really have to like it, and they really have to want to plug it. Then you have to get some curators to decide they want to have it, that they really like it, or stampede [them] into liking it. Panel: How often does this happen in your business? Feldman: Not to me! I can make it for any artist here if you want to just follow some simple rules. I don’t know how to make it if you make anything strange. I know how to live with you and show the work; but I don’t know how to make it for you. The art has to be in a form that sells. I can’t stress that enough. One of my artists is now painting and I am absolutely overjoyed, because I know that I can sell it, and both of us can have a little money…. I don’t push them to paint. They paint because that naturally becomes the form they’ve chosen—thank god! But recently I spoke to a New York curator, very high up, very important—who for years has been playing this cat and mouse game with me, like, I really would like to know about all your artists, and how important they are, and what they’re about. I’d like you to set up a slide show and I could come down and look at everything at one time…. So one day I made a phone call and asked, if the art I show you is not stretched or a little difficult to store or curate or put on the wall, or you have to worry about the temperature a little more, or whatever, do you want to see it, can you curate it, can you collect it? Oh no, of course not! We didn’t make the slide presentation. this way, that’s very important. Of course, that doesn’t mean she sold it. Golub: I don’t think you can tell anybody how to make it in the marketplace. I’ve been in the art world a long time, I’m an old timer, and I still don’t know how the art world works. I try to be very analytical [but] I can never figure out what’s corruption and what’s not corruption. I know what I like and don’t like, although I’m often unsure about that, too. You made a comment about Mary Boone. Of course she’s very successful. But she’s riding a bronco, she’s not riding a horse. And she doesn’t know herself, I would guess, when she’s going to get thrown off. [Meanwhile, other people are] saying, if I could only I get to Ron Feldman! I was just told about a show in a very well known gallery. The show sold out. A man I know very well had a show at that same gallery not long ago and sold nothing. What made the difference? I can’t figure it out. Feldman: I wouldn’t want you to confuse “how to make it” by a formula, in certain steps, with really making it because your art is terrific. I personally don’t equate being famous and in many art museums and collections, and [having] private collectors stampeding [to collect work], with really making it, really being talented, really being what I would consider successful, whether that gets commercial recognition or not. Zelevansky: Amy, how important are the magazines? How powerful are they in selling artwork? Newman: I think magazines are, um…. Kostelanetz: In comparison to literature they are inconsequential. Newman: They’re important because they get the ideas in the work out. I don’t think that necessarily influences what sells. I think what influences what sells is what other people are buying. There’s a kind of snowball effect and I don’t think that starts with the magazines. In fact I think the magazines are the coattails, because if someone is selling, then the magazines put that person on the cover. The problem that has stymied me the most is reproducibility. You reproduce art that can be reproduced in a magazine. There are very strict limits to what comes across. Where you have twenty artists and can reproduce five works, you don’t choose something very delicate, pale, subtle, or conceptual, or a certain kind of manipulated photography. You can’t have sort of a vague blur on the page. The only way around that is to have art magazines that don’t run pictures. That’s unfortunate, but it is sort of pure. Golub: I would think that given good-quality reproductions and sufficient attention to paper, there’s almost nothing that can’t be reproduced. But there are always questions of the relative importance of people in the back of one’s mind. I don’t think the criteria are technical. If you have a big enough page, you can reproduce anything. Feldman: As far as strategy is concerned, Amy is right. As far as being right, Leon is right. Newman: There’s one thing I want to add—the influence magazine or newspaper critics have, I think, is not based on the magazine or newspaper. It’s based on the reputation the critic has built up. I don’t think that simply by reviewing for a magazine you have the power to make or break an artist’s career. I don’t think those reviews and articles have that kind of importance. But if a critic has built up an independent reputation and been intelligent and consistently written about artists that people agree have emerged as significant voices, then I think the critic has a certain amount of power. Kostelanetz: I can think of only one way reviews function in selling art, and that’s if someone has to justify a purchase. When I tour universities, and I go to the art museum and see a Philip Pearlstein, I know there’s only one way that could happen. The curator wanted to buy it and he came up with the Hilton Kramer review from the New York Times and went to his board of directors with it, and between the curator and the subsidiary support of the review, they bought it. 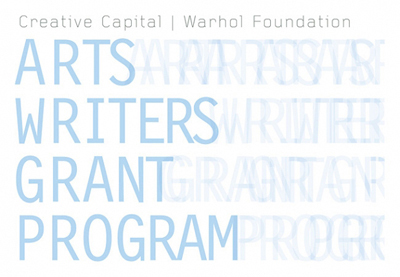 Zelevansky: Reviews are very important for artists applying for grants. Golub: It’s more crucial than that. I’d say there are one hundred people who are important to artists—collectors, critics, museum people. They all have a shifting relation to each other; they all have certain tensions of their own [and] different kinds of nervous dependencies…. Nobody has one hundred. If you have, say, 60 percent of this informed opinion behind you, you have a worldwide reputation. If you have 40 percent, you have a national reputation. If you have 20 percent, you have a New York reputation. If you have 5 percent, maybe a few people have heard of you. If you don’t have any of these people, you don’t exist—except to your friends. What this means is that influential people out there, artists too, are determining the course of events. Now these people are not so sure in their own mind. They watch each other. Collectors watch collectors. Collectors watch dealers. Critics watch other critics. They’re always ready either to jump on a new ship or leave a sinking ship. And everybody does it, just the way I do…. In the middle of all this, the agency that influences people are the critics. They influence the people who influence the people. Kostelanetz: The New York Times theater critic can make or break a Broadway production with that wholesale audience. The New York Times art critic cannot break a production…. Golub: You know why? They have devalued themselves. When Kramer and [John] Russell run off in a kind of generalized way they devalue themselves, but they still have a very powerful influence. Kostelanetz: Is there any example of a critic demolishing an artist’s reputation? Golub: I’m not going to name them, but there are artists I know who have been attacked publicly who had a very strong reputation in the ’70s and who have suffered from it. It doesn’t mean they don’t have support, but part of the aura around them has been dissolved. Newman: I think what we’re talking about is the marketplace of ideas, and I do believe critics have a lot of influence there, but I don’t think they have that kind of influence in the financial marketplace. If you have 4 or 5 percent of art-world-informed position behind you, that’s fine. I know artists nobody knows who are selling their work better than artists who get reviewed. They have their parents’ neighbors [and] doctor’s offices…. If you’re talking about the financial market, I don’t think critics have a lot of influence. They have influence in the exchange of ideas. Zelevansky: Most critics have to review what the publication is interested in. As a critic who did a lot of photography reviews, I can say there was a time suddenly you could not place photography…. Audience: Who, besides Women Artists News, looks at who is reviewed? Where do those decisions get made? Newman: It’s different at all the magazines. At ARTnews I would generally assign critics to the gallery. If the critic didn’t think the show was worth reviewing, that stood; we didn’t try to get the show a good review, or get a review at all. If I sent someone to a show and they wrote a bad review, we printed the bad review. Newman: It’s pretty well known which magazines have a policy [of reviewing advertisers]. Audience: It’s well known in the trade…. Newman: The magazines that [cater to advertisers] don’t have as good a reputation with the general public. They don’t have the same authority. Kostelanetz: Are you saying you can buy a review? Golub: You can get in one or two magazines, maybe. If you take a medium-sized ad and your gallery has done this for a while, then there’s a good chance you are in the swim and the shows will be reviewed. But you’re not necessarily buying a review. I don’t think you are. Audience: How do you measure what’s real and what’s just people giving their opinion? Golub: That’s the biggest question in the art world! If you read the history of American art from, say, Abstract Expressionism on, you get a certain picture from one critic or historian, and someone else may give a related picture, but [neither one] is necessarily true. What we see as “history” has been taken for granted because of usage. We’re told certain things and eventually we learn them. But there is such a thing as revisionism—the history of art can change…. But instead of going from one thing to another, we have catastrophes. Pop art was a catastrophe for Abstract Expressionism. Minimalism was a catastrophe for so on and so forth…. The catastrophe interrupts the assumptions of artists that things are going to continue as they are. But how you get to that new point doesn’t come from paying off critics and reviewers. Birnbaum: This is taking a very mainstream course, for me at least. We’re really in very conservative times. Leon has now at least said things can change. But I haven’t heard any specifics. For example, publications such as Flash Art on an international level support certain art. It is nearly impossible as an independent to be reviewed by Flash Art. And if you don’t have a gallery it is next to absolutely impossible to get into Flash Art in a color photo print. Many times works—performance art, film, and video—that had their seedbed in the ’70s haven’t been able to continue in the mainstream of talk and articulation because they aren’t reproduced in any form; they’ve been suffocated. There are a few small incidences of change, but change hasn’t so far affected the dominant marketplace. When I first looked toward video art [at] Castelli Sonnabend, as a youngster hanging out in the gallery, I would hear meetings on how does one sell a video disk—and are there precedents in printmaking or photography or any mechanically reproducible form. There was this idea of production in a limited number. But video to me is like literature: it should be in unlimited number…. The reason I stayed in art making [despite having other] skills was because I felt art could be valid as a challenge inside society. At Castelli Sonnabend, selling video tapes, they found they couldn’t do a limited edition. Can an artist sign a video tape? Where? Does regular pen work? Can you write on video tape? It’ll ruin the deck you play it on…. So eventually they had to make a very expensive-looking package and, in the case of Joseph Beuys, a lithograph by Beuys, signed by him, to market these tapes. Now a group of artists decided in the ’70s and ’80s not to go with that part of the market. So while I’m very glad I have tapes selling in the art market for two hundred, two hundred fifty dollars. You can buy them for a dollar ninety-five at Video Shack. The same tapes. I’m not saying it’s an answer, but it opens up issues. Golub: It works for you. You have developed a philosophy and a technique to get out to this kind of public. Birnbaum: Well, I’m one of those who has deliberately chosen a form of expression that leaves them outside the dominant marketplace. Audience [to Newman]: On what basis do you select a gallery or show for review? Newman: I see the show myself. (I used to see an enormous percentage of shows). Or, if I don’t see the show, [I select] based on the announcement, or something I know or [that] somebody told me. In other cities I rely exclusively on the critic in that city. Audience: Is it true that if a gallery or an artist took a full-page…. Audience: You say not at ARTnews, but that means somewhere else. Is it fair…. Kostelanetz: A critical reputation is debased if it’s so obviously, blatantly for sale. But there’s more subtly for sale. For example, take the New York Times Book Review. I did an analysis where I discovered that the reviews were apportioned to publishers in direct proportion to how much advertising they took over a period of time. Golub: That was deliberate, you think? Feldman: You made this survey yourself? When? Koslelanetz: Yes, I made the survey. It’s published in a book of mine called The End of Intelligent Writing. Newman: And was it reviewed in the Times? Kostelanetz: Yeah, sure. [Laughter] That’s a longer story. Golub: He ran a big ad! Kostelanetz: Their rationale is, we exist to review what’s in the bookstores, and we know what’s in the bookstores by what’s advertised in our pages! … Here’s a funny story. [An editor at the Book Review], whom I happen to know, told me, the art world’s all money. I said, Oh? When you put a book on the cover of your review, what does it sell? He said ten thousand copies. And that’s worth how much? Obviously a twenty-dollar book is worth two hundred grand gross. So I said there’s no way an art reviewer can sell two hundred grand of anything! That’s the nature of wholesale versus retail. Bookstores are much bigger business than art business. Feldman: But an art review appears after the exhibition is closed. Zelevansky: That doesn’t matter—it’s for the next exhibition. Kostelanetz: That’s still different from a book review when the book is in the stores. Golub: The New York Times comes out coincident with the exhibition when they do review something. And they do influence…. Zelevansky: And the accrued prestige is definitely part of the package. Newman: But you’re suggesting that the work shouldn’t be talked about. Golub: Nobody’s 100 percent pure and nobody’s 100 percent corrupt…. Everybody tries to manipulate the situation to their advantage, one way or another. Audience: Reviews are an extremely sensitive issue for the artist because reviews are sometimes the only payment you get. You can go a long time on a review. [Applause] Dara mentioned showing video in an alternative situation … at Castelli and then at the Palladium and selling work at the Palladium and other clubs. I wonder whether you can take a work which involves thought and contemplation and put it just anywhere and expect it’s not going to change. Birnbaum: It depends on the work. I was one of the first people into the clubs and one of the first out of the clubs—because it didn’t suit the content I wanted to get across. Lately I’ve decided to go back into the clubs at chosen times, because there’s an audience there I wanted to address, and I wouldn’t be able to get to those people if I didn’t find a vehicle that had a certain kind of immediacy…. The people I’ve worked most closely with felt it essential to find temporary relief from the dominant marketplace, which had been highly, highly conservative. Kostelanetz: I have a question about selling photography. You saw it and now…. Zelevansky: Now there’s no market. Photographers can make—it in an art-world context, but the photography community at this point can no longer promote photography. The reason they make it in an art-world context is that they make very large images in color, so they can be sold for a lot more money. Feldman: I’ve been on several panels [on this topic]. Every five years it convenes and appears in Print Collector’s Newsletter…. Some artists working with photography will not show in a straight photography gallery. It’s demeaning, or it’s craft, or too traditional. Others want to show or will show anywhere. This thinking is the fault of museums, because they’re curated by departments. Post Script: In case anyone missed Feldman’s irony, as some seemed to, it should be added that his advice on “making it” was tongue-in-cheek, and that his reputation among artists for support of non-money-making, especially artists’ political, causes, is unsurpassed. However, the New York City Department of Consumer Affairs may have taken his remarks at face value. One official, apparently hearing about hanky panky in the art world sufficiently in advance of an election to take forceful action, decreed that art, like other merchandise for sale in the city, must have all prices clearly marked. As the press played the story with great glee and keen appreciation of the ingenuousness (or disingenuousness) of the ruling, Ronald Feldman was among those singled out for several hundred dollars in fines—caught by an inspector without his prices posted. The regulation was subsequently contested. The denouement is not on record. Now out of print. However, an abridged version, “The End” Appendix/“The End” Essentials (RK Editions, 1979), is still available. “The Market Is the Moment” was originally published in Judy Seigel, ed., Mutiny and the Mainstream: Talk That Changed Art, 1975–1990 (New York: Midmarch Arts Press, 1992), 241–47. In Terms Of thanks Midmarch Arts Press for permission to republish this review.